Available exclusively on the App Store for iPhone, iPad and iPod touch. Dublin, Ireland – July 24th, 2014 – StoryToys, a leading publisher of interactive books and games for children is delighted to announce the release of ShipAntics – The Legend of the Kiki Beast, the first chapter in a unique adventure series by Studio POWWOW. It is available worldwide in the App Store from July 24th. Watch the trailer here. Set in a vibrant cartoon world, Chapter 1 of ShipAntics represents a fresh take on the classic puzzle adventure game genre. An irreverent, fun-filled episodic adventure, it interweaves quality animated cartoon content with a story-driven game featuring puzzles and hidden challenges. Players become immersed in the zany world of the good ship Barnacle, brimming with instantly lovable characters such as Amanda the daughter of the ship’s captain Fred, Otto, a cheeky young octopus and many, many more. TV-quality cartoon content, including an ‘Appisodes’ feature so you can watch the cartoons separately from the game. Rooms throughout the ship to be explored and investigated. Collect stars by finding secret objects and hidden creatures throughout the game. Customizable outfits for the characters, with new clothes to be earned during the game. Play your favourite puzzles again and again in Puzzle Mode; can you beat the High Score?! 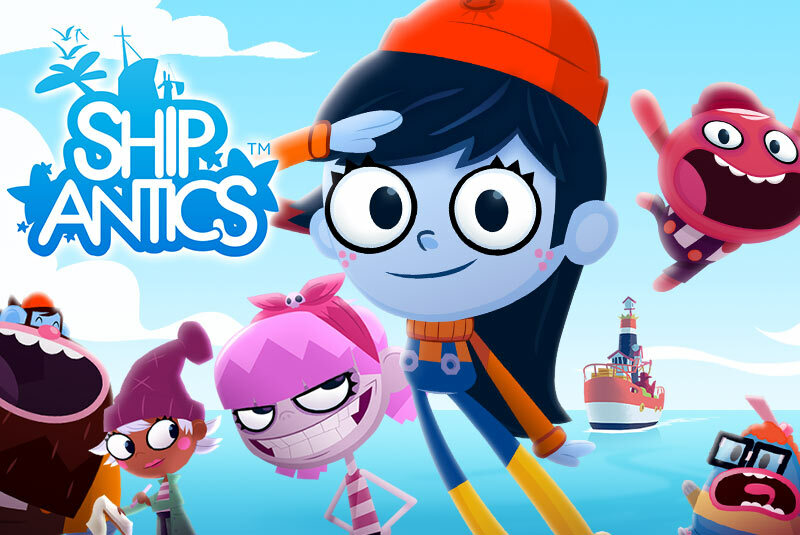 ShipAntics – The Legend of the Kiki Beast is available from July 24th for $1.99 / €1.99 / £1.49 on the App Store for iPhone, iPad or iPod Touch. Headquartered in Dublin, Ireland, StoryToys creates and publishes highly innovative and entertaining software for children including interactive books and games. StoryToys is a registered trademark of StoryToys Ltd. Apple, iPad, iPhone and iPod touch are trademarks of Apple Inc., registered in the U.S. and other countries. Studio POWWOW was founded on the principle that young audiences’ viewing habits and behaviours have changed as the internet, mobile and tablet devices become an ever increasing part of the way people consume entertainment. POWWOW creates entertainment brands with engaging stories and characters on multiple media platforms by bringing their experience of award-winning TV-quality animation, design and storytelling to interactive content and games. Located and operating in London, United Kingdom, Odin Publications develops and exploits new interactive entertainment applications for wireless devices and online platforms.